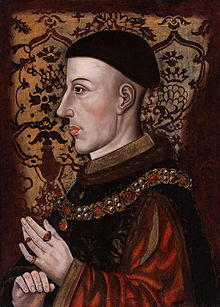 Henry V (official website)، UK: British Monarchy . Felipe Fernandez-Armesto، The Myth of Henry V، UK: BBC . J Endell Tyler، Henry of Monmouth: Memoirs of Henry the Fifth، منصوبہ گوٹنبرگ . "Henry V"، Plantagenets (illustrated history)، UK: English monarchs .